Selection and Allocation of Regional Qualifying Heats. There will be 12 Regional Qualifying Heats (RQH) for Agility and 12 Regional Qualifying Heats (RQH) for Jumping. These heats may be conducted independent of but in conjunction with an ANKC trial. The Dogs NSW Agility Committee allocates an RQH to affiliates, in order to support and promote both metro and regional growth of the sport of Agility. RQHs are not allocated equally throughout the state regions as not all regions conduct Agility trials and in some cases there are more trials in one region than another. The Committee attempts to allocate one RQH round to each affiliate and also maintain a reasonable distribution between city and country affiliates. year period i.e. Year 1 - Agility, Year 2 - Jumping, Year 3 - Agility, Year 4 - Jumping and so on. Due to cancellations and changes in trial schedules the initial sequence of events allocated may have been changed. 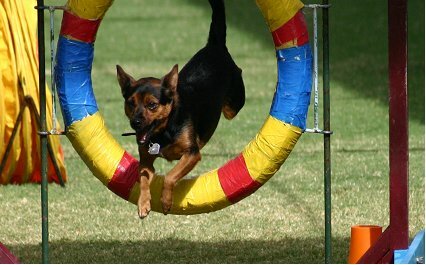 Trial Secretaries from clubs currently not conducting RQH events may submit an application to the Agility Committee.